For those in distribution, material-handling and manufacturing, containers can be a large portion of business cost and waste. The reusable, regular-slotted container (RSC) produced by MDI improves both of those metrics, creating a closed-loop system that is more sustainable and cost-effective. The reusable box helps meet cost-cutting goals by paying for itself in as little as 12 uses, compared with cardboard. 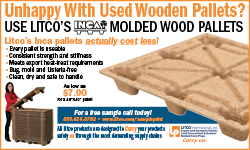 It reduces costs associated with breaking down, erecting, storing and disposing of cardboard. In addition, MDI testing confirms corrugated plastic containers last up to two years, depending on the application. This is a vast improvement over cardboard, which typically lasts a month or less – helping companies achieve sustainability objectives. 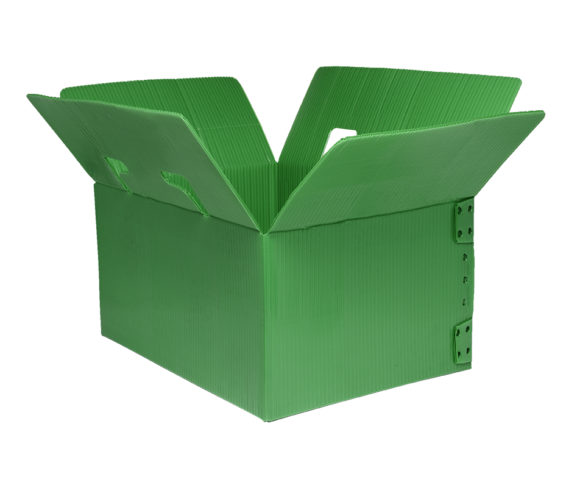 Available in both polypropylene and polyethylene, 100 percent recyclable containers are welded together for greater strength and longevity. MDI can produce the box in a variety of standard or custom configurations, sizes, add-on options, weights and colors. 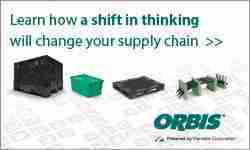 The boxes expand on the organization’s vertically integrated manufacturing, product assembly and kitting services. 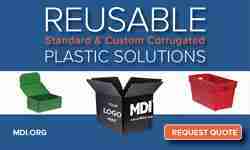 MDI is a leader in manufacturing corrugated standard and custom plastic packaging solutions, production assembly, and environmental services. As a non-profit through a Social Enterprise model, MDI creates self-sufficiency by providing meaningful work in an inclusive environment, with nearly half of the workforce comprised of people with disabilities. Headquartered in the Twin Cities, with additional locations in Hibbing, Grand Rapids, and Cohasset, MDI offers an unparalleled customer experience, while providing high-quality products and services to businesses and organizations.